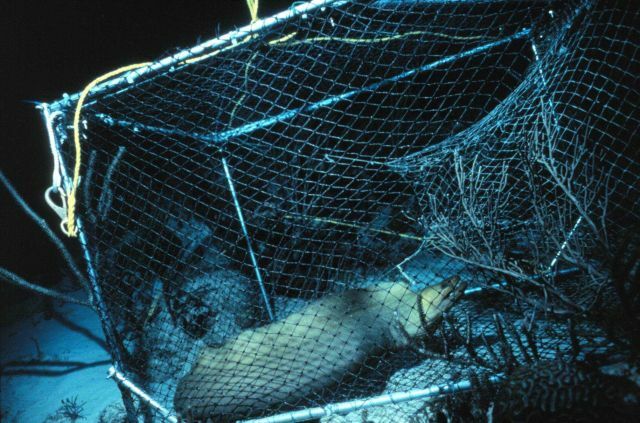 Green moray eel caught in a fish trap eats the other inmates. Gymnothorax sp. Photo Location: Gulf of Mexico.